Tata is called the city of waters, springs and mills. The Baroque town is famous for its historic memorials, large lakes and offers a Romantic atmosphere with its castle on the shores of the lake and its park full of flowers. 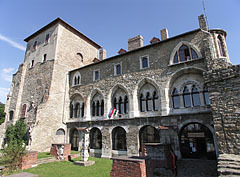 The castle used to guard the road connecting Buda with Vienna and Europe. 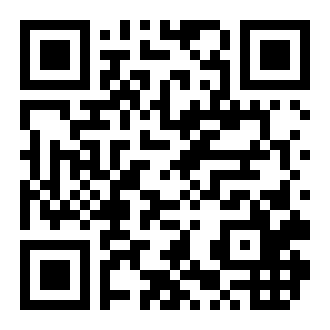 Nowadays its task is somewhat different. From a traveller’s point of view its location is still fortunate; or we may safely say that it is the traveller himself who is fortunate to pass through such a city. The residents of Bigrietio, one of the most important military camps and civil towns in the Roman Empire, directed the water of the springs to their houses. In the 11th century the Benedictines built a monastery in the marshy valley. The city got its name from Tadeus, the founder of the Benedictine abbey of Tata. According to the medieval Chronicum Pictum (‘Képes Krónika’ or Illuminated Chronicle in English) its name derives from somewhere else. The founder of the state, St Stephen, used to call his god father, Count Deodatus of Sauseverino, not by his original name, but called him gently ‘tata’ (the Hungarian word means ‘old man’). In this case the name of the city came from the Benedictine monastery which he founded in Tata. 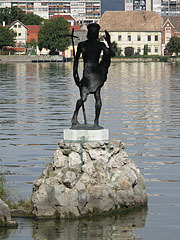 The Old Lake was formed at the time of the reign of Sigismund, after the drainage of the marshes and the damming up of Altal Stream. In the summer season you can go rowing on the lake. 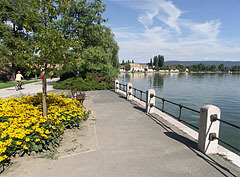 On its shore tourists can find a built up beach, as well as a promenade going around the lake. Historic memorials can be found during your walk; watermills from the 13th century, the castle of Tata and one of the castles of the Eszterházy family. According to some old tale, when Tata was attacked by an enemy, the parish clerk - in order to save his own life – told where the treasures of the church were. When they started to dig up the fortune, the surrounding area transformed into a bottomless lake; so this is where the legend of its lake lies. 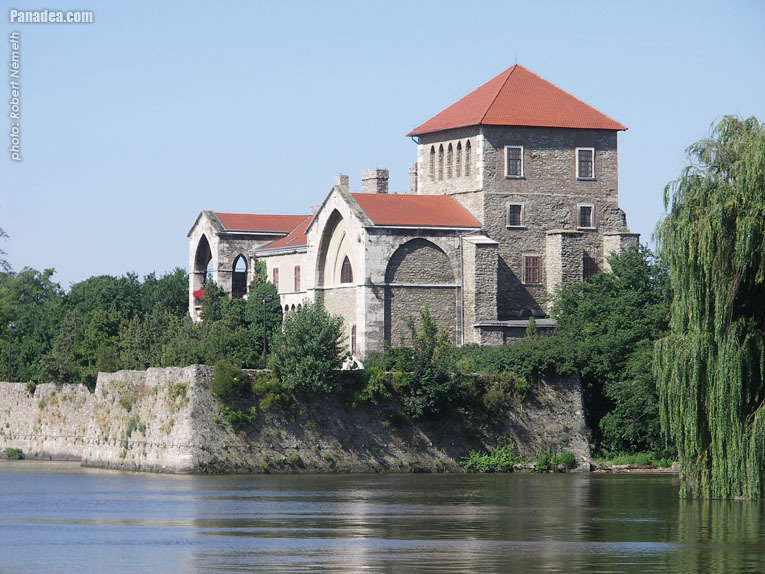 It was built in the second half of the 14th century by István Lackffy on a rock surrounded by water and marshes. Probably it was an L-shaped building with an enclosed garden attached to an eastern tower. 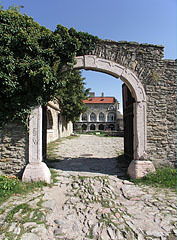 Later the castle became the property of Sigismund, when he executed the Lackffys because of disloyalty. He rebuilt it as a Renaissance fortified castle with angled towers, and he also established a two-storied chapel. He furnished it luxuriously and he received his guests from abroad here; the Polish king, German aristocrats and the Serb duke. Matthias Corvinus established a two-storied cloister here and a balcony on the side facing the lake. It is known from stories of that time that the forests around the castle were full of game and the lakes were rich in pike and carp. The magnificent bedrooms and dining rooms were decorated with gold which suggests that the castle served as a summer residence. The most valuable pieces in the museum are a decorative armour mask and a stove with the picture of a knight, which were excavated in the castle. The four bastions of the castle are still intact, and there are moats filled with water around them, above which a brick bridge leads to the castle. Only the southern part of the palace of the inner castle remained untouched and of the four angled towers only the eastern one can be seen. The building in late Baroque style is the work of Jakab Fellner. It was built between 1764 and 1769. Several famous people have visited the mansion, for example Francis I, the Hungarian king; and William II, the German Kaiser. The palace garden with its line of trees, the castle ruins and the water mills next to the streams provide a romantic walk. Arriving in the city from the direction of the main road one of the symbols of the city can be seen on Országgyűlés Square. 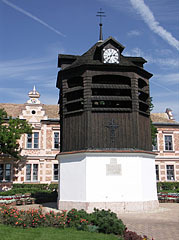 This Clock Tower with wooden shingles was made by a carpenter, József Éder in 1763 only using wood following the plans of Jakab Fellner. The clock plays music five minutes before each full hour.